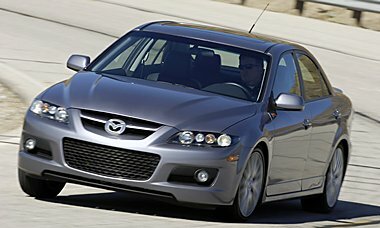 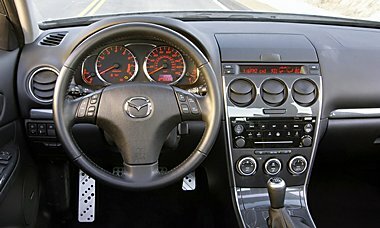 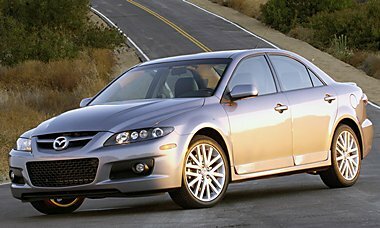 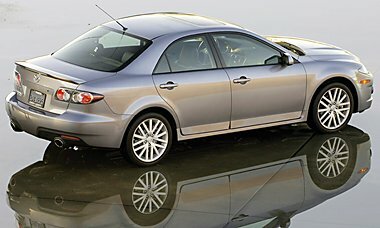 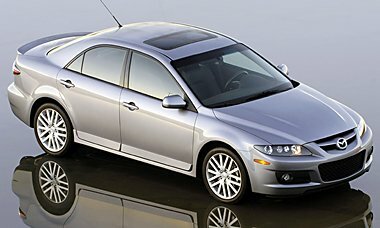 The MAZDASPEED6 is Mazda‘s all-new high-performance all-wheel-drive sedan, based on the Mazda6 sedan. 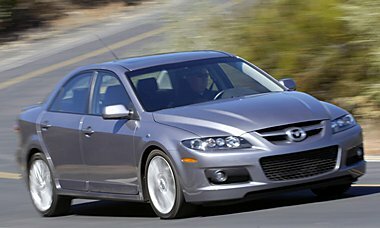 The MAZDASPEED6 comes in two trim levels: Sport and Grand Touring. 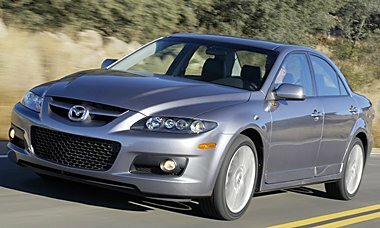 With looks very similar to the Mazda6, the MAZDASPEED6 has an all-new front and rear fascia, hood, front fenders and taillights. 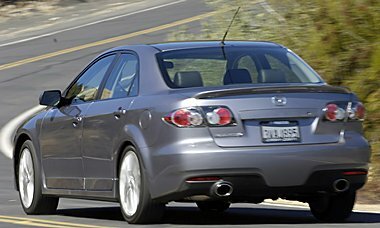 The hood sticks out to accommodate the intercooler and a hood scoop has been integrated to feed outside air into the engine. 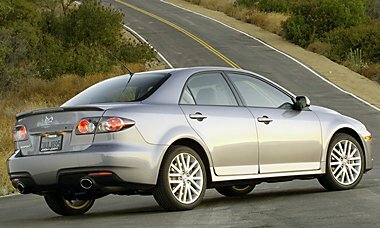 Extended side skirts, twin tailpipes, a lip spoiler and lightweight 18-inch alloy wheels with high-performance tires help complete the aerodynamic look to the body. 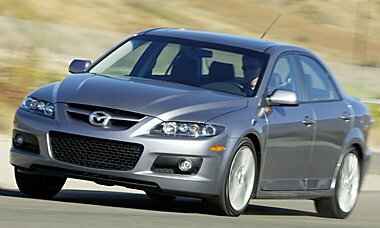 The MAZDASPEED6 rides lower than a standard MAZDA6 and the double-wishbone front and rear multi-link suspension setups have been tweaked to further enhance handling.